Take Over Kotaku. For One Hour. In Boston. Friday. After three months of running Kotaku, I've decided to bring you on board. You will be paid nothing. You will only be on the team for one hour. After that, consider yourself fired. But think of the fun you can have before then! 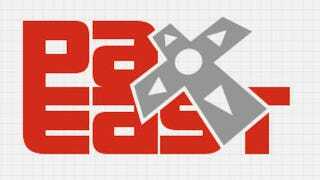 This amazing opportunity is available to all attendees of PAX East, the big gaming convention that kicks off tomorrow in Boston. We're inviting all attendees to a panel, held from 2:30-3:30 in the Arachnid Theatre where we will, as the name of the panel suggests, let you "Take Over Kotaku (For One Hour)." We'll start this off like a traditional panel, where you can hear from me and Kotaku's formerly-newest employees: Tina Amini, Kate Cox, Chris Person and Jason Schreier. We'll be there to help you take command—well, vice-command. I'm still the boss. We want to give you the opportunity to contribute. Got a great photo from PAX East or some other time that you'd love to have on the site? Bring it to the panel and one of our team will help you put it on Kotaku—or reject it for not being awesome enough. Always wanted to run a Kotaku liveblog? You can! Attendees will be invited to contribute to the official liveblog of the panel. Concerned about the status of a commenter, maybe even your own commenter account? Plead your case to our special on-location commenting judge! Did you ever want to interview someone who works at a game development studio? Do it at the panel with two very brave game developers (Eka from Uber Entertainment (Super Monday Night Combat)! John Drake from Harmonix (Rock Band)!) who agreed to be your guinea pigs. And then file your interview and publish it on Kotaku before our hour is up. The bottom line is that, for one hour, we are going to do our damnedest to let you get any cool content you bring—or concoct during our panel—onto Kotaku. Readers, we're letting you take over. But just for an hour. Friday. 2:30-3:30pm. PAX East's Arachnid Theatre.